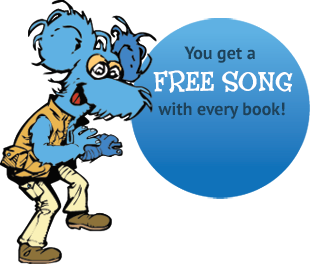 Kidzter is a book and music company. Kidzter.com has been built to promote awareness of Kidzter books and records. Every day Eva’s On This Day In Music History presents the important musical events that have happened on that date. We have a searchable directory of music teachers. There are music videos featuring the Rock-a-byes and The Kiddie Kats. Bob Heyman is the creator of Kidzter. Bob holds a Masters in Education from Harvard and is credited with cointing the term “edutainment.” He received a law degree from Hastings College of Law (U. of Cal.) and represented such musicians as Maria Muldaur, Marty Balin, New RIders Of The Purple Sage and Ray Manzarek (of the Doors). His rock opera Rock Justice, written with Marty Balin and Mike Varney, is in the Book Of Rock Lists and was signed by EMI. He co-founded the pioneer internet marketing agency Cybernautics and is credited with coining the term Search Engine Optimization (SEO) and starting the first SEO agency practice. With his partner Leland Harden, he has written five best-selling digital marketing books. His clients have included Intel, SGI, Bristol-Myers, Sothebys. Sony, IBM, Napster, World Vision, Trend Micro, Avon, AOL and Time Warner. Jason Whitley created all the art for Kidzer. How do you comply with COPPA? Please refer to the Privacy and Terms Of Service tabs for details of how Kidzter complies with COPPA. What is the “back story” of the Kidzter Haunted Mansion and of the Kidzter Music School? The mansion was built by “mad” Professor Rock, an eccentric genius. He was struck by lightening while conducting musical expreiments on his roof. Ever since, the mansion has been haunted. First by the ghost of the Professor, who was soon joined by the spirits of othe rock stars who haunt the mansion. Mort Moose, a celebrated music manager, bought the mansion and turned it into a music school. He is the Headmaster and the teachers include members of the Rockabyes, a famous band that Mort managed. Who recorded the Rockabyes music? Marty Balin provides the singing voice of guitarist Floyd Fox. Maria Muldaur is the singing voice for Crystal Canary. John “Marmaduke” Dawson of New RIders Of The Purple Sage, is the singing voice of drummer Bartholomew LittleBear. Dan Hicks is the singing voice of their friend, Professor Bearly. Nick Gravenites is the singing voice for Mort Moose. Huey Lewis played harmonica. Who recorded The Kiddie Kats music? Jesse and Paula Bradman created all the Kiddie Kats music.